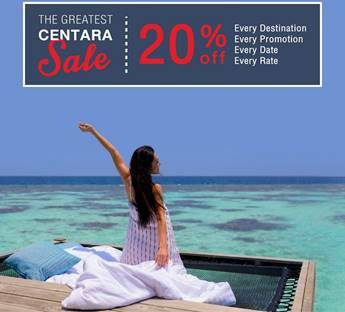 Centara is offering 20% off for every single rate booked through its official website – that includes packages, promotions and existing sales for every date, hotel and destination – even Sri Lanka and the Maldives. What’s even better is that this isn’t one of those 24 hour promotions where if you snooze you lose. This is available to book right up until the end of the year Count down to 2019 with this early festive gift from Centara. Offer is available exclusively to CentaraThe1 members. If you are not already a member, it’s free and only takes a few seconds to sing up.